First of all, however let’s go back to last Saturday. Timo’s birthday won’t happen for another week or so, but since Liz & I are in Melun for Bible School today and next weekend is the national Youth Convention… we opted to celebrate last Saturday. Timo invited 3 of his good friends from school and together they did a bit of swimming before playing some games and chowing down on Dominoes Pizza (which Timo L-O-V-E-S). and cake (which Timo made). The cake had rolled fondant icing and piped home-made butter cream (Our BIG-little guy has aspirations of becoming a baker). We were approached by Capital Community Church (Fredericton NB) about putting together a kids-related video for their upcoming Missions Conference. We wanted to do more than just a “Hello from France” video and wanted to have our kids be the focus of it… so we headed out into town to ham-it-up a bit and have some fun with it. The Idea: (a) That being a missionary doesn’t begin when you hit the foreign field, but it begins at home and (b) that it’s not something reserved for adults… kids can impact other for Jesus as well. I won’t show you the finished video – The first ones to see it will be the kids from Capital Community. However I will show you the blooper reel and, once their missions conference is over, I’ll post the finished product so that if you’d like to use it in your own church / Sunday School, you can. You can see the bloopers at the bottom of this post. It was great to meet her son for the first time as well. We’d prayed for him numerous times, but this was the first time we’d met. We’re thankful for the sweet presence of the Lord in a house where the doors are open wide! Since we were going to be in Tours for the Bible Study, we headed up a bit early and met with friends that we’d not seen in a while. I saw them briefly two years ago but They’d not see Liz and the kids since 2006. Their daughter was present as well (she as taking the photo) and we’d not seen here since our honeymoon … some 20 years ago! It was very good to catch up. Thank you for checking in today, we covet your faithfulness in praying for us and for France. Your prayers and the Lord’s grace have born fruit this week. Please pray for safe travel as we return from Bible School later today. God bless you. 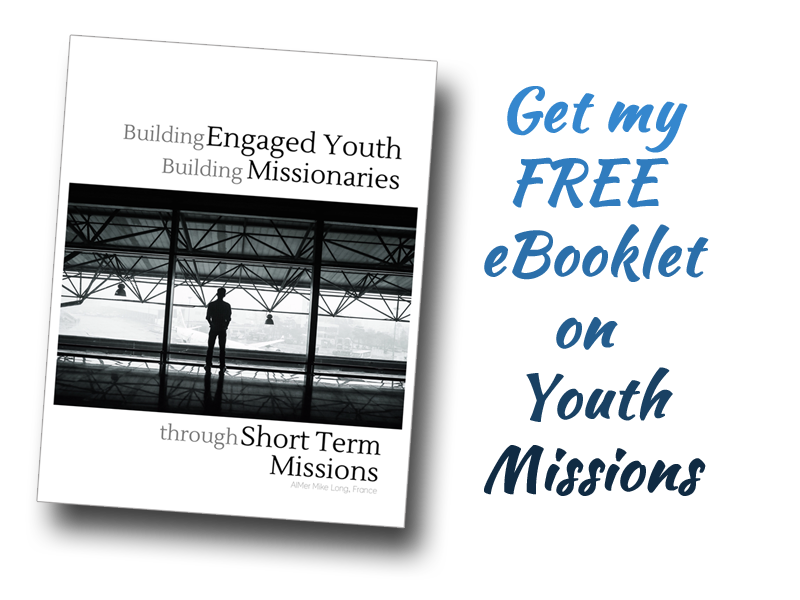 On Monday I’ll be publishing another Short-Term Missions Monday post that asks the question: “What’s the purpose of Short-Term Missions?”. Have you ever wondered? I’ll share my take on it this Monday. Now… enjoy a few “You can do it” giggles! « Want to buy a French Castle?